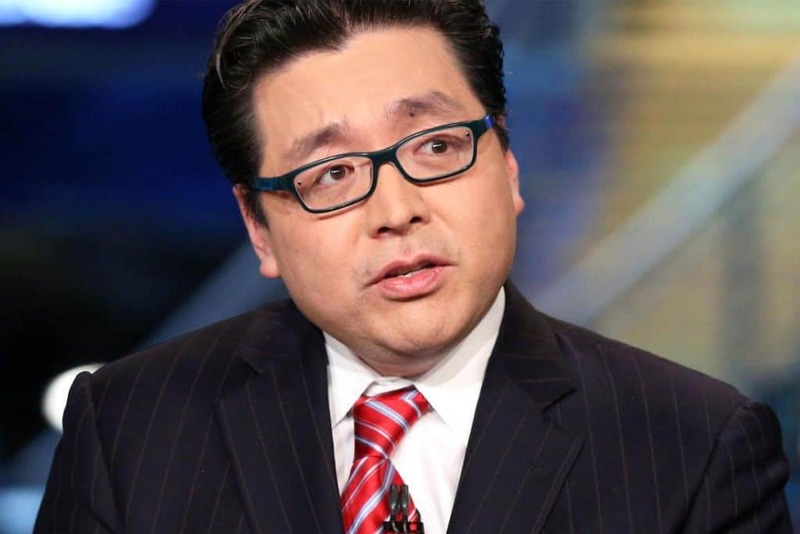 The well-known cryptocurrency enthusiast and Wall Street analyst Tom Lee has recently lowered his end-of-year Bitcoin prediction. However, this comes as he simultaneously predicted a strong Bitcoin recovery. Lee has previously been JP Morgan’s chief equity strategist and is currently one of Fundstrat Global Advisors’ co-founders. Moreover, this news comes from a fresh CNBC report. CNBC is reporting that Lee has now lowered his end-of-year Bitcoin price prediction to $15,000. Lee had previously held a year-end price target of a whopping $25,000. Although a reduction from this to $15,000 is a decrease of 40%, $15,000 is still a quite bullish prediction. At the moment of writing, Bitcoin was trading at $5,615.37. If the price of the premier cryptocurrency was to rise to a price of $15,000 by the end of the year, this would constitute more than 267% of the current price. According to Lee, a major driver in his recent reduction of Bitcoin’s guidance price is the ”break-even” point of the cryptocurrency. The break-even point is the level where the trading price and mining costs are roughly equivalent. Furthermore, Lee notes that Fundstrat’s data science team has calculated the break-even level to be $7,000. This reportedly comes following a previous estimate which pegged it at $8,000 for Bitmain’s S9 mining machine. Lee is said to have used the aforementioned data in order to come up with the $15,000 price. Specifically, he argued that the ”fair value” for Bitcoin should be around 2.2 times of the break-even price – i.e. $7,000. Nevertheless, Lee is simultaneously betting big on a reversal in the price of Bitcoin. He is said to have informed clients that Bitcoin has never been able to sustain a ”move below break-even”. Lee also suggested that the recent turmoil in the cryptocurrency markets could be explained through ”crypto-specific events”. For example, Lee highlighted the recent debate over Bitcoin Cash’s hard fork as one such source of uncertainty. Nevertheless, the CNBC report concludes by reaffirming Lee’s overall bullish stance of crypto. He is said to have noted that a ”broader creation of infrastructure necessary for institutional involvement” is currently being developed.